Let me regale a story for you, from an event that occurred before I was born. On September 11, 1973, the Chilean government was overthrown. Sitting president Salvador Allende was ousted in a military coup, and was replaced with military leader General Augusto Pinochet. Despite Allende's refusal to step down, power was seized, and he was effectively removed from office. During the period of military occupation, famously, the Estadio Nacional de Chile, Santiago's giant sports arena and complex, was used as a detention center for civilians, Allende supporters, and ultimately, anyone seen as a dissident of the military coup. What does any of this have to do with gaming, you ask? Very little, in fact. At least, that's the way it appears on the surface. Truth be told, my primary reason for bringing it up is the stream of consciousness that happens when you read or hear something, and it sparks a memory, or triggers a thought. When I heard the title of Google's new game streaming service, STADIA, it didn't immediately strike me as anything particularly interesting. The next day, however, I read it again, and I went right to getting a song stuck in my head: "Estadium Nacional" by the now-defunct progressive rock band, Magellan (R.I.P. Trent Gardner). It's a great anthem that tells some of the story of the Allende overthrow, and a fine slice of prog rock in its own right, even without the trappings of the tragic story as the lyrical focus. If you think, at this early point in the article, that I've completely lost the plot, bear with me. I'm merely setting up a discussion on the coup that is taking place within the world of video games. It's not a sudden, violent conflict; no, it's a slow burn. As the saying goes, rather than throw the frog in a pot of boiling water, it's easier to turn up the heat slowly, so the front doesn't even realize he's being boiled to death, until it's too late. In this scenario, we're the frogs, and the gaming industry at large is the cook. Allow me to cut through the imagery, and get right to the point. Gaming, as we know it, is changing. It has been, for many years. Most gamers my age have probably lamented the things which have become common occurrences over the last few years, within the industry. We know that, as game development becomes increasingly more complex, more and more games are released in broken and unfinished states, only to be patched later (or often, on day one), to fix all the problems that weren't discovered with a game prior to it's release. We're also in the age of "games as a service" - you don't buy a game that gets small iterative updates over time. Instead, you pay a subscription fee for a game that is constantly changing. The experience you have with the game today won't be the same experience tomorrow, because there's no guarantee that the environment you're in will look the same from session to session. What's becoming more prevalent are the "freemium" titles, that take after mobile games. Rather than paying a premium price for a new game, many games are free to play, or free to start, or occasionally there's a small charge to buy in, but then the company makes their money through "lootboxes" and various in-game transactions. Want to change the way your character looks? $5 please! Like your buddy's bazooka more than yours? That'll be $3.50. Custom hairdo? All yours, for a measly $0.99 - what a bargain! Sarcasm aside, this is the direction the industry appears to be heading for large game releases. 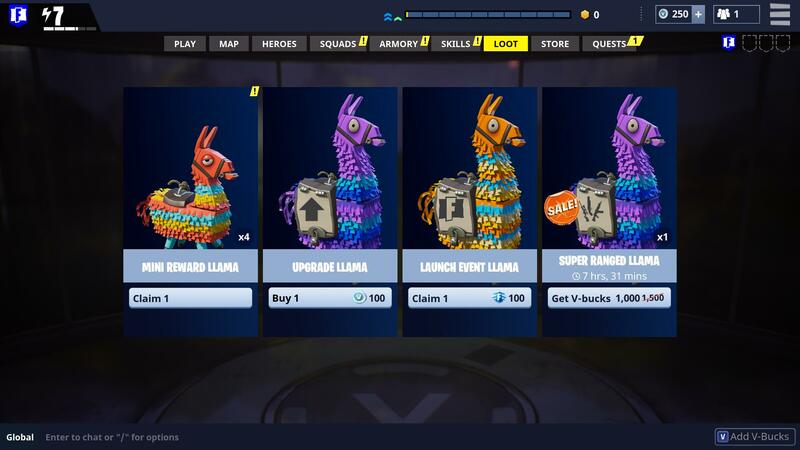 Fortnite uses its own virtual currency known as "V-bucks" that you can use to purchase assets in-game. These cost actual money, however. All hope is not lost, however. Despite the gaming industry telling consumers that we don't want single player experiences, some of the best-selling and most well loved games in the last few years have been large-scale, single player affairs. The latest God of War game, for example, or Horizon Zero Dawn are both solitary experiences of different stripes. The former is a largely linear affair, guiding the player on their quest, whereas the latter takes a more open approach, with the game more subtly nudging the player forward, and hinting at where you're supposed to go, hoping you'll oblige. And on Nintendo's Switch, two of the biggest sellers have been single player campaigns as well. Both [/i]Super Mario Odyssey[/i] and The Legend of Zelda: Breath of the Wild have embraced the story-driven, single player narrative as their approach, and it has paid off handsomely for them. More than just single-player games, indie developers have also answered the call, providing all kinds of interesting experiences, short and long, that are well crafted, and generally finished when they release. Sure, sometimes games have bugs, and that's hard to avoid them completely. But patching a few minor issues in an otherwise perfectly playable game is quite some distance away from knowingly releasing a game that is a buggy mess, and must be patched on the day of release in order to be at least marginally playable. That seems to be where the industry is headed. At that point, your game disc or card becomes merely a token - something that signifies physically that you paid for a game, or have a license to play it. The irony isn't lost on me that many companies released buggy, barely playable games during the height of the "console wars" era, with 8 and 16-bit releases sometimes being so riddled with bugs, you'd think it's time to call the exterminator. But those scenarios were often the exception, rather than the norm. And enterprising players often found fun ways to use those tricks to their own advantage, clipping through walls or floors, glitching items for more health or ammo, performing impossible jumps to skip over difficult sections of a level, and so on. Today's games seem to be prone to more serious glitches, with characters getting stuck, graphics glitching out to the point of being indecipherable, or often a game locking up tighter than a rusted nut on an old bolt. And when a publisher releases a game in today's market that is decidedly unfinished, despite user outcry, they often give their mea culpas and everyone moves on. In a world of constant internet chatter and a 24-hour news cycle, one can only be upset about any one thing for a little while, before the next aggravation comes along. I can't become this age again, but I can still play Super Mario Bros. 2 whenever I fancy it! All of this to say that Google's newly unveiled STADIA service is the way that the gaming industry has been moving for some time. Previous attempts at streaming services have been attempted, with products like PlayStation Now, or the ill-fated OnLive, have shown. But a company like Google can pull it off, and make it successful. Anyone with a device that can get to the internet and play games has the potential to use a service like this. Putting aside the issues of slow Internet connections in rural areas and developing nations, Google has the money to make a venture like this profitable, and as technology continues to advance, this kind of service will become more viable for smaller enterprises to attempt, especially as services like Microsoft Azure and Amazon Web Services become less expensive, and more competitive. This way, companies can get in on this space without having to build out large infrastructure. The IT professional in me is excited about the prospect of this kind of thing: seeing all this technology pushed to the limit, to provide new experiences for people at a moment's notice, is a pretty awesome prospect. But the old-school gamer in me balks at it, simultaneously. The experiences gained from a "games as a service" platform are no less important or relevant than those gained from blowing out a Nintendo cartridge and fiddling with the console to get it to boot up. However, the more ephemeral nature of the former certainly makes recapturing those experiences later, a much more difficult prospect. I can walk into my game room now and pull a cart off the shelf, and play any number of games I experienced as a kid, and go right back to childhood. 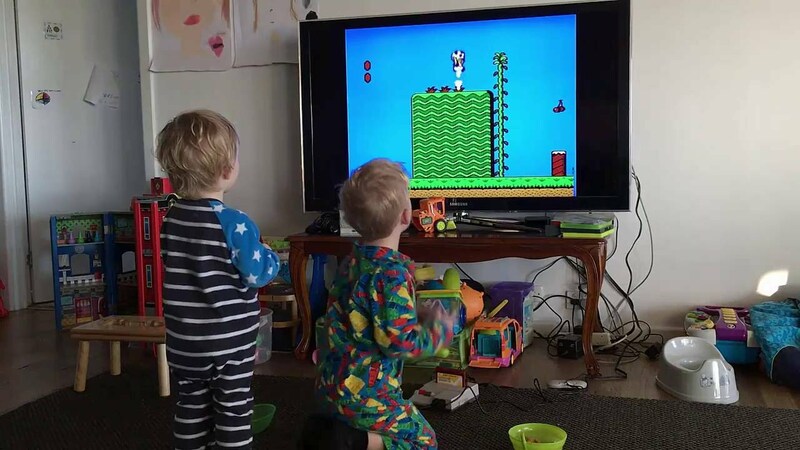 I can fire up Super Mario Bros. 2, and be instantly transported to the basement of my childhood best friend's house, him slouched over in the bean bag next to me, already asleep at 12:30 or 1 AM, as I frantically control Princess Peach to jump and float to new areas, trying not to wake up my friend. In 10 the span of the next 10 years, will any of us be able to go back and experience a major 2018 or 2019 game in the same form we did on day one, in a console that isn't connected to the Internet? Chances are becoming more slim that such is the case. Yep, I'm becoming one of those old guys. The death of the physical game release has been widely proclaimed, and we've been seeing those signs for years. Customer backlash against the lack of physical games with the Xbox One was enough to send Microsoft back to the drawing board to rectify that prior to the release of the console in 2013. But 6 years later, with everyone having giant libraries of Steam games that we never play, and large libraries of "free" games, thanks to services like Microsoft's "Games With Gold" or Sony's PlayStation Plus offering, the reality of an all-digital future isn't as far fetched as we perhaps thought just a half decade ago. There's still a contingent of folks, like myself, who champion physical media, and thankfully, there are still publishers who continue to meet the demand, with smaller companies like Limited Run Games and Strictly Limited Games filling those small niches here and there. The Nintendo Switch, with a more permanent type of storage medium, continues to maintain a physical media presence as well, since those games you buy at retail for the console still require the game to be plugged into the card slot in order to play, versus merely an install for many disc-based games. I'm old enough now, where, I don't have to worry as much about what's going to happen with gaming over the next couple decades. I've collected enough games to the point that, I have more than I could ever play. And even if I did manage to get through everything in my library, by the time I made the journey all the way through, it will have taken long enough that, assuming the hardware all works, or I can emulate somehow, I can go back and do it all again, since the oldest of those experiences would likely feel more fresh years later. But I'm aware of the changes taking place, and I need to keep those in mind, as I continue to engage in the hobby. Such things will continue to inform my purchase decisions for new hardware and software, and may lead me to focus more on what I've missed out on thus far, rather than pushing forward with the latest and greatest. The industry may yet surprise me, and for that, I am hopeful. But I, for one, welcome our new gaming as a service overlords...if only to make me glad I grew up in the era I did, so I can still relive the memories of games long past, and have "new to me" experiences that give me the same feelings I had as a kid. For that, I can be grateful. While digital gaming doesn't yet appeal to me in any of it's forms I do understand the pull of downloading a game digitally. It's on your system to play and enjoy at any time. Streaming games doesn't quite make sense to me the same way unless I'm missing something about it. Outside of 1st party games, all other games will have to be licensed to the streaming service. That's going to be a vast majority of the library. Licensed agreements come to an end, much like we experience with services like Netflix. A lot of games, and especially games as a service model games, are designed to take dozens or even hundreds of hours to play. I'd say the odds of you investing heavily into a game only to see it pulled from the service before you feel you are done with it are pretty high. And if they get the rights back down the road what are the odds you'll still have access to your saves or in game purchases? License agreements also differ from region to region. Am I not going to be able to play the games I want with my US buddies because I live in Canada? With the rumor that Stadia will have a payment model for developers that promotes getting paid more for the longer people play their games that seems to encourage "gotcha" style games, lengthy games and games as a service style games all of which don't mess well with a licensed streaming service. I'm really confused how this will work in the long run (without even getting into the preservation) aspect. At least in the current models of purchase if I miss a game (because there is SO much now everyone misses games they want to try), I can pick up a past title at my convenience. I'm not even talking past generations either. For example I havn't tried the new God of War yet, but I fully intend to. If a third party licensed something to Stadia for a 2 year window and I havn't played in on there yet my opportunity may already have passed or the window might be too late to start without risking the game being finished before I'm actually done with it. To top all that off we don't have fiber internet lines available where I live quite yet so I'm not sure I'll even have the ability to stream games even if I could afford to. As good as the tech sounds there is still talk of some minor latency in streamed games. Will some of my favorite genres like fighting and rhythm games not be compatible with these kinds of services? If everyone goes streaming what happens to these genres? I have too many concerns to be excited for the "streaming future" that some are excited for. Since I was old enough to save up my own money I've been an early adopter of gaming consoles and have always enjoyed jumping into new generations of hardware, but this is one gaming movement that I'm going to cautiously take the wait and see approach that may result in me never even joining into the current gaming echo system. The silver lining is that there is a ton of stuff already out there for me to play and spend money on so if modern gaming leaves me behind I'll still have lots to do and more time and money to do it! Crabby said what’s in my mind, so I’ll just agree. Too early for me to care, and not terribly excited about any of it. I think we’ll have a better picture when MS and Amazon jump in the ring. So, I am a huge proponent of physical media, even for modern releases, but there are certain games where I have absolutely purchased digital. PS+ has given me a large library, but because of certain actions Sony has taken, I'm shying away from the platform more and more aside from exclusives, so when I don't keep it, those go away until I decide at one point to renew it. That being said, I am in full agreement regarding the technology. The ability to truly have cross platform play by not having a dedicated platform in your living room, but a platform that is essentially available everywhere. I played the beta when it was Project Stream. I have a laptop with an i7, but Intel graphics. The beta used Assassin's Creed: Odyssey. Plugged in an Xbox One controller and fired it up. This laptop has no business playing AC:O. I have a shared Google Photos album with some images of what it looked like. The color is a bit off, but it's more of on the picture than what was actually displayed on screen. I'm of two minds on this. On the one hand, like you, I'm really excited for technology advances. I'm a big techie, and as the march toward an all-digital future (not just games, but everything else too) where anything I could ever want is available at a moment's notice, that's something that's really appealing. What worries me are not just the loss of physical media, but also the loss of used games, the loss of ownership, the loss of original versions of a game, or even the loss of entire games themselves. Like Crabby mentioned in his Netflix analogy, if a game doesn't sell well in Stadia and they choose to de-list it, that could potentially mean the game just disappears, out of digital libraries, out of gamers' minds, and effectively out of existence. The other thing that concerns me is something I've heard various games journalists express; an all digital, all-streaming gaming future means we're basically handling over the keys to the games industry to major corporations. This isn't a new thing. The way I see it, when society allowed companies like Amazon and Google to control so much and sell us smart home devices that are always listening and always watching and tied into virtually everything we do online, the snowball had already started rolling down the hill and there was no stopping it anymore. But this is just one more notch on the bedpost of things that will be controlled by corporations in the future. All that said, I still try to be cautiously optimistic about things. The retro side of me is crying in a corner, but the progressive side of me knows that if the music, book, and movie industries have taught us anything, it's that there will always be people out there who care enough about physical things and archiving our past that will do the good work of preservation. Physical books and CDs are still a thing. You can even play the original version of World of Warcraft if you're willing to seek out private servers. At the end of the day, my biggest takeaway of all of this is that I'm actually really grateful to have lived in a time of such change. The 80s, 90s, 00s, and on, we're living through a technology boom like we've never seen before, and I personally find it utterly fascinating to watch it all play out. We're now in a world where millions of people gather in Fortnite to watch a DJ concert. I heard an NPR story just yesterday about how musicians are now making songs that are shorter and punchier, specifically because they need to work in a streaming landscape where people don't have the attention span for 4-5+ minute songs anymore. We stream our media, lease our cars and cell phones, take Ubers, rent scooters, and homeownership is decreasing (esp in dense cities); in many ways it's almost like we're transitioning into a new age of feudalism. A big part of me will always be disappointed by that, but for better or worse, I'm also willing to take part in it. I plan to straddle that line and hold onto both old and new philosophies for as long as I'm able. I find the Stadia interesting and repulsive. Crabby said the most about it but one point I haven't seen raised is net neutrality in the US and throttled speeds / data caps by ISPs. In the current landscape I can't see Stadia doing well -- it has to be really consumptive of data if all the hardware is back hanging out in Google's HQ. Will there be a way to stream a game without sucking down immense amounts of data caps. It has me curious. @zophar53: I feel like I need to address one of your final points, because it legitimately scares me. "I heard an NPR story just yesterday about how musicians are now making songs that are shorter and punchier, specifically because they need to work in a streaming landscape where people don't have the attention span for 4-5+ minute songs anymore." This could be the old man in me talking, but I find that terrifying. Granted, music has devolved over the years anyway, to the point where it's all about mass consumption, outside of niche genres, and stalwarts who still write and play music because they appreciate the art. And it's not hard to see the through line from the burgeoning pop scene of the 1950's and early 60's through to today. I would say the songs back then were better, overall, as the music industry today has become utterly formulaic and banal in ways I wouldn't have imagined a decade ago. Thinking about it now, it's a wonder that this didn't happen a long time ago, but the mid-late 60's experimental period, followed by the openness of the 70's, meant that over-commercialization of music didn't become the norm until the 1980's, so it was only a matter of time until the pendulum swung the other direction. I like having digital accessibility of games & music, movies, etc. But without that physical media to fall back on, some of this stuff will fall into the "history hole" and never be seen again. Preservation is hugely important. If something is committed to tape, pressed to vinyl, or at least stored on multiple hard drives offline, at least there's a chance that it can be recalled in the future. That's what, I fear, we are moving away from. I generally think what's more important is pushing for quality of selection. I have subscribed to Netflix for many years now, and while I will always prefer the "have it in your hands" feeling of physical media, I can't deny the convenience of binge watching my favorite shows at the push of a button. There are ways to make this type of service appealing to fans of all ages. For instance, imagine if a game-streaming service were to get the rights to the Taito NES library. I realize that it would hurt the "collector" side of the industry, but at the same time it could open avenues for games unattainable for many outside of emulation. I think the key will be what approach Google (or any other company that jumps into the ring) takes, and how much of an emphasis it puts on quality experience. I also have my doubts that physical media will completely disappear, because there is such a strong fan base that believes in it. It may become a niche market, but if the demand is there, there will be a reason for at least a few companies to find ways appease it. It just probably won't be the main portion of the market. To your point, MetalFro, it will put pressure on the gaming society to be aware of what preservation methods companies are taking. Let's face it, not every game 'will' be important to the history of the industry, but every game 'might' be, and we won't know for sure what games will be the most important and influential in the future until many years from now. I feel like this is part of the natural progression of the industry, but it's the responsibility of the consumers to demand it be done with the highest quality standards in mind. The comment about the 4 to 5 minute song is interesting to me because 'radio edits' have existed for about as long as I can remember, and there's always one that sticks out, "Semi-Charmed Life". The radio version cut out an important part of the song, but because of consumer uproar, it was eventually restored with minor changes for the radio market. As we begin the move away from physical release gaming, it puts that much more burden on consumers to make sure companies are doing the right thing, and not pulling an 'EA'. Yes, we should be nervous about it. Done right, it could revolutionize the industry. Done wrong, it could ruin it. It's funny that music gets brought up. There were similar concerns when songs were given an artificial ceiling due to early recording medium, which brought songs to around 3 minute in length. Technology in delivery formats definitely have a huge impact on the way media is consumed. As far as the form and format media takes, I've cooled a bit in the last handful of years on that issue. I liken it to when I hear people talk about how no one learns cursive (or even to write by hand, period) in school anymore. I am disappointed, yes, but it's all subjective. Things change with the ages. Writing, art, music, storytelling, music, games, everything. Like the stone age, bronze age, medieval, the renaissance, etc, we're moving toward the digital age, and with it, the disappearance of many things people who lived through that era loved. The saving grace about that though is that preservation is easier. Like EZ Racer said, a big part of it will be the quality of the curation. Also @EZ Racer: that's an interesting point you bring up, about radio edits of songs. I didn't think of those. I don't see them much these days; usually I see a regular "album" and then a few extra tracks tacked on to the end for extended or club versions of songs. I love this discussion! This is exactly why I wrote the article, and was hoping that I would spark some good conversation about it. This is why preservation efforts should be applauded and supported. Every time we get a new console, and a new Sega Genesis classics collection, some folks are inevitably going to roll their eyes, but it's important that those games get carried forward to new generations. Things like the Mega Man Legacy Collection, the Disney Afternoon Collection, the SNK 40th Anniversary set, the Atari Flashback games on the Switch, Arcade Archives, etc. We need to support these efforts, so publishers and rights holders see that there's an interest in digital preservation of these things. While I am a staunch defender of streaming services such as Netflix and Amazon Prime, I am not of game-related services. It doesn't have anything to do with the whole "physical vs digital" debate (personally I equate this debate to people who refuse to acknowledge the usefulness of alternative fuel vehicles because they like the way things used to be), but because I just never had a good experience with one of them. Maybe I am condition to expect smaller experiences from streaming services, but I just couldn't get into any games for any amount of time. Maybe too many games isn't a good idea for me (I don't know). I also feel for gamers in countries with data caps and limited internet speed. They're just getting no love here. @MetalFRO: I am a big fan of preservation efforts, and even a bigger fan when game companies get involved, and applaud (and try to buy) releases such as the ones you mentioned. I just wish more companies would get on board and the craze. Imagine if Squenix decided to stop nickel-and-diming their retro fans with mobile ports and just decided to release retro collections featuring the original games. I just picked up a Super Retro-cade (version 1.1) and so far I am amazed and delighted, and I look forward to getting the SNK 40th game for my son's Switch (Victory Road with dual analogs sounds wicked fun). @bombatomba: I've been wondering about that Super Retro-cade; glad to hear you're liking it. I'm usually a bit hesitant about anthology consoles like that unless I know the company putting it out or I do my research to find out if it's a decent product. There are good and bad products like that out there. The past week or so I've been looking into getting a Retrode on ebay. Together with a Super NT and Mega SG, the three would make a fantastic retro console corner of my house.